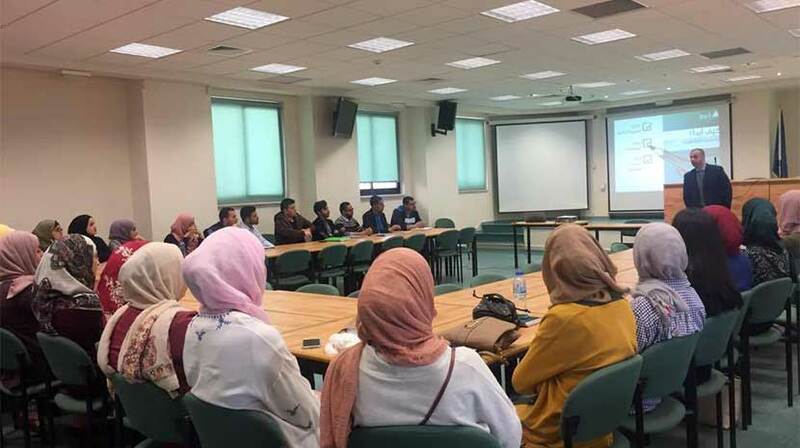 Head of the Human Resources Department at Al Wataniya Mobile, Tareq Soufan, prepped Birzeit University students on the entrepreneurial skills that they should have to organize and operate in business and throughout their professional careers. Soufan spoke at a workshop organized by the Department of Public Administration at Birzeit University and Injaz Palestine. The workshop introduced the main definitions and norms related to business and economics, offering a wide range of mechanisms for students to learn about themselves, their interests and their present and future career potential. Soufan offered tips that can help students improve their competencies and readiness to search for a suitable job and maintain it. The workshop tackled a number of theoretical and practical issues including writing resumes, interview skills, and expected questions and answers.